Youthful ardour, joy of learning and discovery of new horizons are the traits that best describe the Grammy-winning State Chamber Orchestra Sinfonietta Rīga. Since its foundation in 2006, the orchestra's artistic director and chief conductor has been Normunds Šnē. Sinfonietta Rīga musicians are young, erudite and bursting with creativity. They are assiduous students of the musical heritage of the First and Second Viennese School and eager presenters of the musical phenomena and styles of the 20th century, while continuing to look for the brightest revelations in contemporary music scene. Among the ambitions of the orchestra is promotion and development of chamber symphony genre in Latvian music, therefore twice a year Sinfonietta Rīga commissions a new chamber symphony score to contemporary Latvian composers. Sinfonietta Rīga often collaborates with guest conductors, and has staged thematically and stylistically varied programmes together with Paavo Järvi, Heinz Holliger, John Storgårds, Christoph Poppen, Olari Elts, Juha Kangas and Tõnu Kaljuste. Among the brilliant soloists that have performed together with Sinfonietta Rīga are classical singers Julia Lezhneva and Inga Kalna; pianists Kristian Bezuidenhout and Yevgeny Sudbin; internationally renowned Latvian organist Iveta Apkalna; violinists Isabelle Faust, Kolja Blacher, Baiba Skride, Pekka Kuusisto and Thomas Zehtmair; cellists Sol Gabetta and Jean-Guihen Queyras; and the members of the Berlin-based Artemis Quartet – violinist Vineta Sareika and violist Gregor Sigl, as well as Ukrainian violist Maxim Rysanov. The orchestra has also enjoyed collaborations with clarinetist and composer Jörg Widmann; trombone soloist Christian Lindberg; percussionists Martin Grubinger, Evelyn Glennie and Peter Erskine; accordionist Ksenija Sidorova; Argentinian bandoneon player Marcelo Nisinman; oboe soloist Alexei Ogrintchouk; and early music experts Andrew Lawrence-King and Enrico Onofri. Over the years, the orchestra has developed a close creative friendship with Latvian Radio Choir and its conductor Sigvards Kļava. Together, they stage several musical programmes each year, including first performances of Latvian sacred music. Along with active concert life in Latvia and the other two Baltic States, Sinfonietta Rīga has performed in the Elbphilharmonie and the Laeiszhalle in Hamburg, the Herkulessaal in Munich and the Alte Oper in Frankfurt. In Netherlands, the orchestra has performed several times, both in Amsterdam's Muziekgebouw and De Doelen in Rotterdam; and it has also conquered the hearts of audiences in St. Petersburg Philharmonia and the Lincoln Center in New York. Sinfonietta Rīga is a frequent guest in festivals of various sizes in Latvia and abroad. In July 2016, led by maestro Paavo Järvi, the orchestra opened the 6th Pärnu Music Festival, and has visited the prominent Baltic Sea Festival in Stockholm several times. In February 2017, together with Latvian Radio Choir, Sinfonietta Rīga had its debut at the Elbphilharmonie, performing a retrospective of Estonian composer Arvo Pärt's works at the introvert art festival Lux Aeterna; in June 2018 both collectives came together to perform the same programme again, this time at the Kissinger Sommer festival in the spa town Bad Kissingen in Bavaria. To celebrate the centenary of the proclamation of the Republic of Latvia, in October 2018 Sinfonietta Rīga participated for the first time in the Cafe Budapest festival, and together with accordionist Ksenija Sidorova gave concerts in Malmö, Gothenburg and Örebro concert halls. In March 2019 Sinfonietta Rīga will perform together with Alexei Ogrintchouk, principal oboe of Amsterdam's Concertgebouw orchestra, and in April - with Finnish conductor Juha Kangas. The orchestra will open the next concert season together with acclaimed French musicians - flautist Vincent Lucas and harpist Marie-Pierre Langlamet, and later in november will meet again with the revered expert of Italian Baroque music, violinist Enrico Onofri. In the beginning 2020, orchestra musicians in Riga will be visited by pianist Kristian Bezuidenhout, and in following spring a collaboration with violinist Alina Ibragimova is in the works. 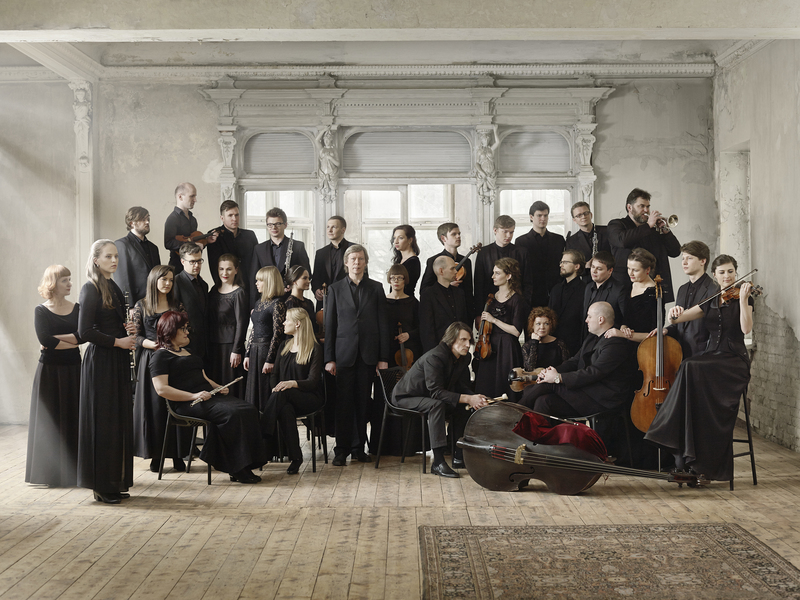 For its musical and cultural contribution Sinfonietta Rīga has received the coveted national seal of approval – the Grand Latvian Music Award – three times. Its participation in the recording of Adam’s Lament by Estonian composer Arvo Pärt, released by ECM, brought the orchestra the acclaimed Grammy Award. Sinfonietta Rīga has recorded ten other albums that have been released by its devoted partners Wergo, Ondine, Onyx, Edition Records, Challenge Records and Latvian national record label SKANI.